Guitarist Alex Beyrodt is one busy guy these days. In the last 12 months he's performed on the latest Sinner, Primal Fear, and Voodoo Circle albums. 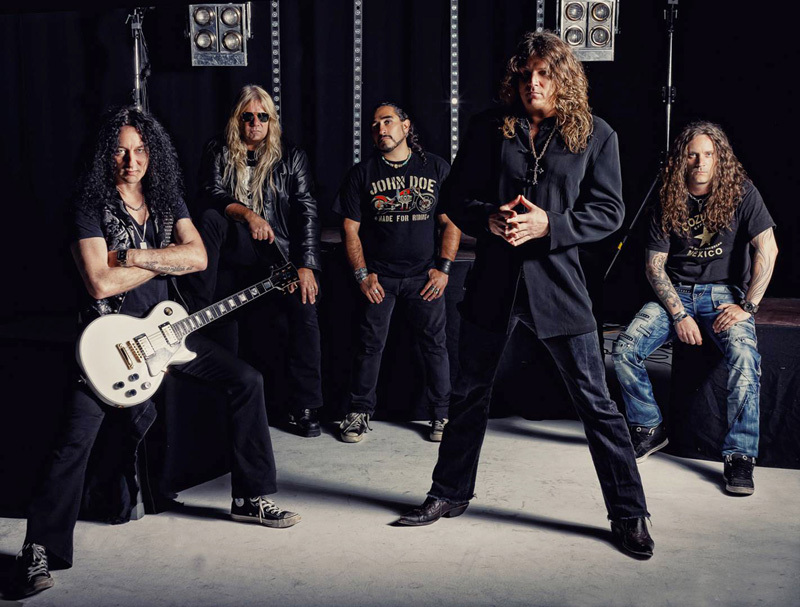 Then he still found time to resurrect his seminal band Silent Force with a new band and new album, the appropriately titled Rising From The Ashes. Original drummer Andre Hilgers remains, but Beyrodt adds Primal Fear pal Mat Sinner on bass, journey man Michael Bormann on vocals, and the ubiquitous Alessandro Del Vecchio on keyboards. Silent Force: the new band, for better or worse. 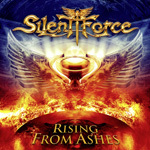 If you're unfamiliar with Silent Force's previous material, suffice to say it's quite similar to other Beyrodt projects, of the current era, like Voodoo Circle and Primal Fear (sans keyboards). The music is straight up and traditional melodic, heavy, and power metal with his smoking hot, often neo-classical, fret work at the forefront. The tie that binds things together is that Beyrodt is also a fine songwriter, working good melodies and groove, lyrical and musical hooks, to match and echo his guitar playing. For the most part the effort and formula pans out. 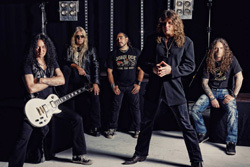 There Ain't No Justice, Before You Run, Kiss of Death, You Gotta Kick It, and Circle of Trust, best song here (listen below), deliver the heavier melodic metal with plenty of catchy hooks and melody and, of course, Beyrodt's ripping guitar solos. Other times, not so much, as songs like Living to Die and Anytime Anywhere, for example, seem riff heavy and tedious. Del Vecchio keyboards add some interesting color at times, as at the beginning of Born to Be a Fighter, but mostly take a back seat to everything else. Perhaps my greatest reservation about the new Silent Force has to do with the vocals. While Bormann is a fine metal vocalist, I truly miss D.C. Cooper who has a more smooth and melodic vocal style. Besided Beyrodt's nifty guitar work, he was the single best reason I enjoyed Silent Force. But times change, and it appears Beyrodt is going for a more heavier, even harsher at times, side to Silent Force. Bormann's voice fits this direction. Give the new Silent Force a listen, and decide for yourself. Guitarist Alex Beyrodt resurrects his seminal band Silent Force with new players and, perhaps, with a heavier more intense sound.